off-trail Archives - GetGoing NC! Today is a scouting day. Of my many tasks as a hiking guide, scouting the trail in advance is among my favorite. If I’m leading on a trail I haven’t hiked in a year or longer, I go out beforehand and hike it. I like to make sure the trail is passable, that a hurricane hasn’t laid a stand of trees across the trail, that recent rain hasn’t turned a key crossing into a Class III rapid, that—in the case of a National Forest—the trail hasn’t been closed for logging or another form of resource development. As a guide, I don’t like surprises when trying to get hikers from Point A to Point B safely. For hikes we do in state parks, nature conservancies, municipal parks, the element of surprise is low, even before a scouting trip. Most land managers post trail disruptions on their websites. Even the USDA Forest Service posts advisories on its more heavily traveled trails. Additional pre-hike insight comes from websites such as alltrails.com and hikingupward,com, where hikers sometimes leave comments on recent trail conditions. It’s a different story, though, when you’re hiking the trails less traveled, and the trails that don’t exist at all. 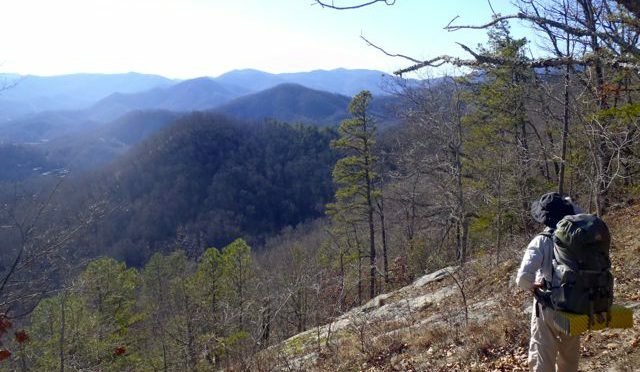 Trails that aren’t officially trail are what we’re focusing on in a series of Winter Wild hikes. They may start on established trails, but they won’t stay there for long. 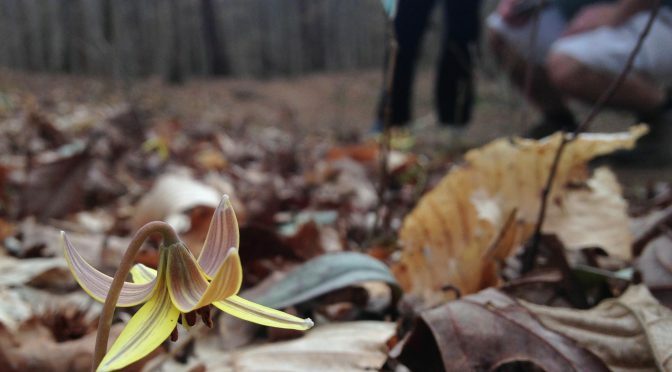 For the most part, we’ll stick to game trails and long-abandoned wagon tracks to explore the hidden human history and natural gems of the state parks and national forests. Scouting these trails is especially critical to a safe and successful hike. The scouting trip I’m on today is at the coast. I first became aware of the Weetock Trail in early 2006 while researching “100 Classic Hikes in North Carolina” (2007, Mountaineers). Coastal trails being at a premium, I was eager to include what, at 11 miles in length, was the second longest trail at the coast. However, I was unable to find the trailhead, which was somewhere off N.C. 58 between Maysville and Cedar Point. If I couldn’t even find the trailhead, it wasn’t a good candidate for a trail guide aimed at a general hiking audience. A few years later, armed with directions, I did find the trailhead (which now had a marker) and had little trouble finding and keeping the trail for the first six miles or so. I passed the gravel road to Haywood Landing after about three and a half miles, as promised. A little while later, I bumped up against the White Oak River, which my map suggested would happen. And I’m pretty sure I had passed the unmarked road leading to Long Point Landing, about six and a half miles in. Then, I emerged from the edge of a pine forest into a long-abandoned farm field, now a sea of unfettered wild grass standing three feet high that gave no clue as to where the Weetock continued. On the far side of the field, where the forest resumed, were several promising openings where the trail might resume. Eventually, I discovered a trail: unmarked, I could only guess that it was the Weetock and not a game trail, not a hunter’s trail. Whether it was or not is hard to say. The forest/field/forest scenario repeated, and this time the existence of a trail was less certain. But I continued, assured by my compass that I was at least headed in the right direction. I hoped that I would stumble across an obvious trail. I never did. Sunlight was becoming an issue, and I was relieved, with dusk settling in, when the woods spit me out on a gravel forest access road. I checked its direction with my compass — northeast — and based on the fact this was only the third access road I had passed, I was pretty sure this road would take me straight back to NC 58 not far from the trailhead. 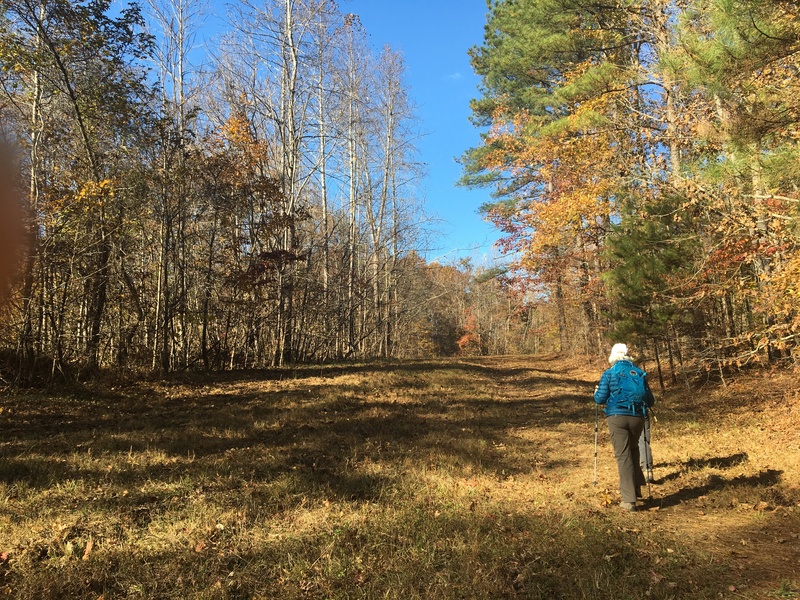 The next day, I went to find the southern trailhead, with the idea of hiking in the opposite direction and discovering familiar terrain to discover where I had strayed. Alas, I couldn’t find the southern trailhead, or anything resembling a trailhead. No roadside pullout, much less a “Welcome to the Weetock” trail sign. So today, I try again. I’ve got two paper maps (including the alltrails.com map pictured above). I’ve got updated software on my Garmin GPS and I’ve got Google maps on my iPhone (which has more than once aided my escape from a backwoods wander gone awry). The Weetock Trail hike will include tips on way finding and following a trail that isn’t always there. Learn more and sign up here. 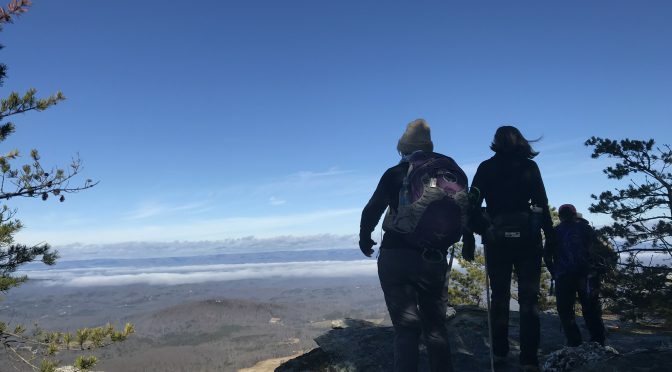 This series of five monthly hikes takes you off trail at the places you only thought you knew: Umstead State Park, Hanging Rock State Park, Eno River State Park, Uwharrie National Forest, Raven Rock State Park. Learn more and sign up here.